You stay at the Belmond Mount Nelson hotel to experience impeccable service, a sense of history and true quality – and a visit to their intimate Lord Nelson Restaurant is no different. 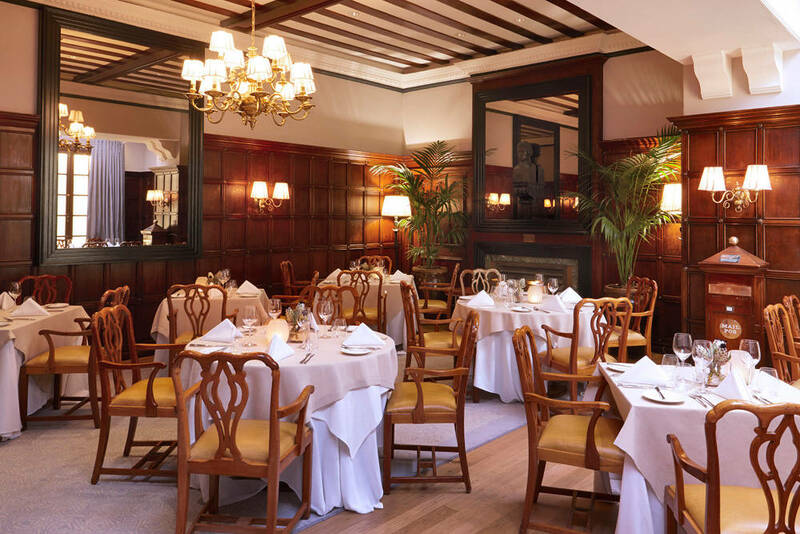 The hotel’s Planet restaurant now plays host to events and functions, so their restaurant offering has shifted gears and moved to the cosy Lord Nelson room, originally the hotel’s writing room, and then a bar. 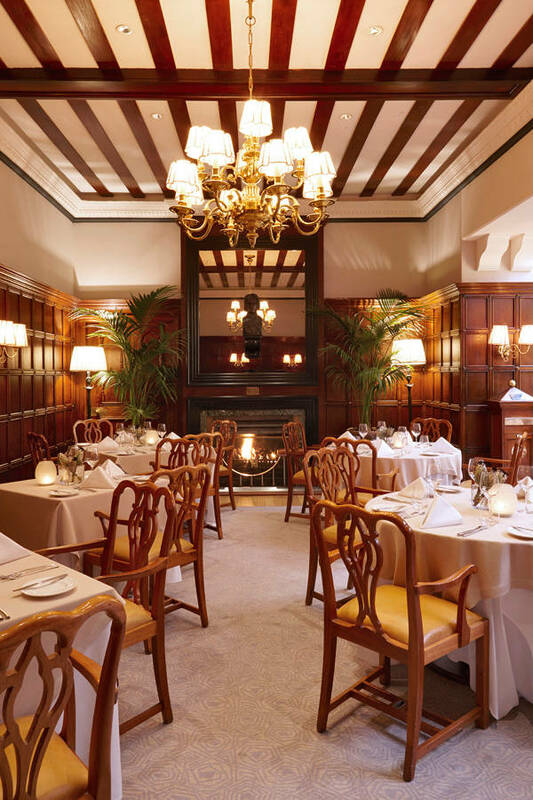 Think ultra-traditional decor with mahogany oak panelling and the original fireplace, as you sit by a roaring fire and listen to the talented Henry Dike playing the piano in the background. The menu focuses on classic dishes, reinventing them and packing them with flavour. If you’re feeling flash then choose the caviar, but if not, consider the Beef Wellington for two on the menu this winter. 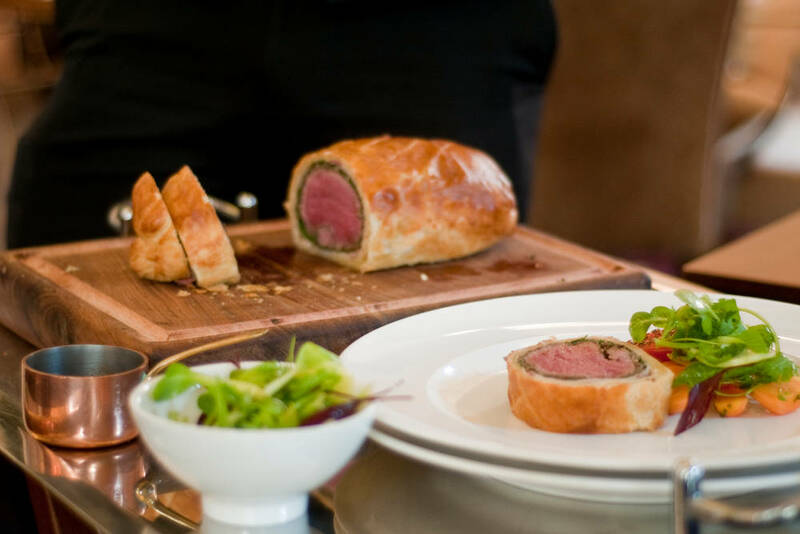 Pasture-reared beef fillet from Spier, with braised short rib and a mushroom duxelle, is wrapped in prosciutto and deliciously encased in light puff pastry. We chose to have three courses from the chef’s choice menu, starting with the most wonderful roasted cauliflower salad with buffalo milk yoghurt, toasted cashews and sunflower seeds. Next up was pan-fried trout with spekboom salsa verde for me, while my partner chose the roast seabass – both types of fish were sourced from fish farms, and both were so good that I may even have wiped up the leftover sauce with my finger. The chefs strive to only buy “green-dot fish” which are caught by line and are sustainably sourced. In fact, the hotel’s executive chef Rudi Liebenberg was invited to join the inaugural SASSI Seafood Circle which celebrates South Africa’s top chefs and restaurants who are making sustainable seafood dishes a priority. Mains included beef tournedos for me, and springbok loin for my partner, both of which were tender and tasty. We shared the chocolate fondant for dessert, beautifully plated in a little copper pot. Our waitress Lisa was friendly, amusing and warm – and really enhanced our evening. She told us that the chef’s menu is popular with locals in the winter as it offers good value, but that most of her patrons are still visitors from outside the country who are staying in the hotel. Either way, they’re in for a treat.